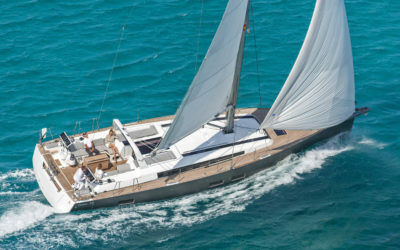 Launched in 2006, Beneteau’s Oceanis line of boats has remained a classic. She is equipped with features for powerful, stable performance and beautifully designed with stylish comfort inside. The Oceanis line is widely loved for luxurious family cruises and is ideal for creating memories of life at sea. 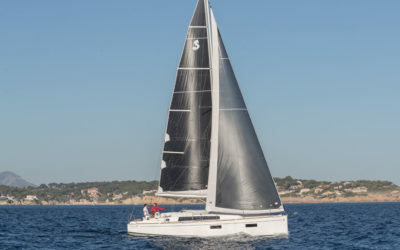 The Oceanis range of sailboats from Bénéteau is often referred to as “the world reference in cruising”—and for good reasons. As their family name suggests, Oceanis vessels are made for seafarers who purposefully keep to the ocean in order to live a life of adventure at sea, traveling from place to place and from port to port—for the sheer pleasure of the experience. As such, the Oceanis range is built for optimum safety and efficiency, with each new iteration of the Oceanis vessel bearing remarkably more stable hulls, more comfortable deck plans, and significantly improved maneuverability. However, this does not mean that seaworthiness and incredible performance at sea are all what Oceanis boats are about. After all, these boats are also well-known for their top-of-the-line equipment, well-appointed interiors, and living spaces that easily lend to customization, enabling each vessel to mirror the personal tastes and lifestyles of their owners. Today, the Oceanis line by Bénéteau features a collection of vessels ranging from 31 to 55 feet, all exquisitely designed for ocean cruising and for the pleasure of living at sea. Introduced in 1986, the Oceanis range of sailboats from Bénéteau was not exactly the first cruiser to be created by the legendary French boatbuilder. 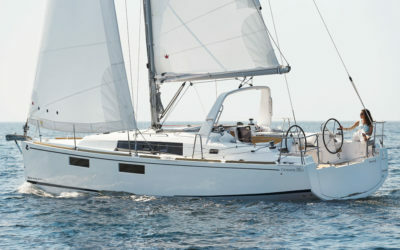 Before these, the brand launched the Evasion line of sailboats back in 1973 as their very first cruising range, and it all began with the introduction of a two-masted ketch called the Evasion 32. Designed by André Bénéteau—only son of the founder Benjamin Bénéteau—the Evasion 32 had all the hallmarks of a true sailing cruiser, boasting a draft of 1.4 meters and an almost-2-ton ballasted hull that made her extremely seaworthy. Then, in 1982, came the Idylle range. Designed to be the first Bénéteau charter line of vessels, the Idylle boats were a result of a collaboration between Bénéteau and The Moorings, which today stands as one of the leading yacht charter companies globally. Having introduced a whole new world of comfort at sea, the Idylle vessels became the foundation upon which the future Oceanis sailboats would be built. 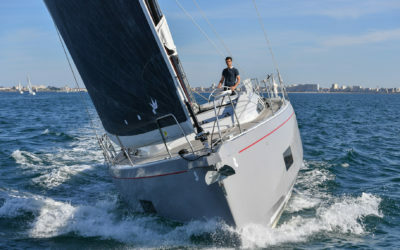 In 1986, the first of these revolutionary watercrafts—the Oceanis 350—was revealed by Bénéteau. Created by François Chalain and Philippe Briand, the Oceanis 350 was celebrated as “a new concept of happiness at sea,” a pleasure watercraft that met the expectations of all sailors, whether they were traveling with friends, their families, or their romantic interests. 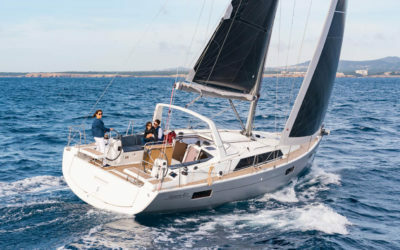 On top of its superior performance and design, its easy handling also made for lovely and unencumbered sailing that enamored a generation of sailing enthusiasts. These qualities are preserved in the present-day boats of the Oceanis line, with a lot of modern advancements thrown into the mix. 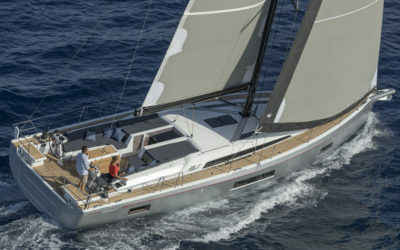 The distinguished Oceanis 51.1 and Oceanis 46.1 sailboats, for example, now boast stepped-hull designs that not only improved their speed and fuel efficiency but also allowed naval engineers to create bigger interior spaces with sensational new layouts. Clearly, the evolution of the Bénéteau Oceanis range is not yet over. Europa Yachts, the sole representative of Bénéteau pleasure vessels in the Philippines, is proud to carry the brand’s Oceanis range of sailing yachts. 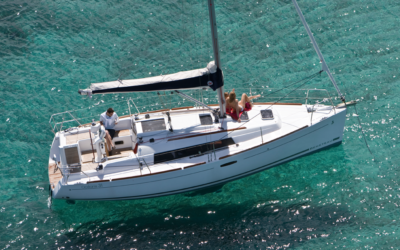 Promising to offer the ultimate in cruising and liveaboard experience, the Oceanis boats come in a number of models, and these include the Oceanis 31, the Oceanis 35.1, the Oceanis 38.1, the Oceanis 41.1, the Oceanis 46.1, the Oceanis 51.1, and the Oceanis 55.1. If you are interested in any of these watercrafts, call us at (+632) 553 2027 or (+63) 917 657 0045 or email us at info@europayachts.net. Our team will be more than happy to walk your through the features and benefits of each of these beautiful sailing yachts.